Breakfast does not have to be a chore. 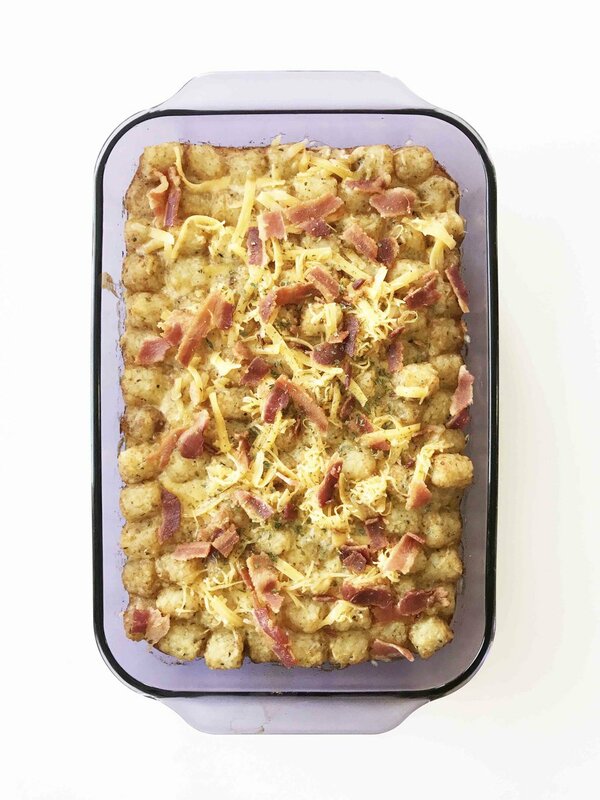 This Tater Tot Breakfast Bake is quick to toss together and pretty much does it's own thing while baking in the oven. Giving you plenty of time to do other important things. You know... like settling into your back-to-school routine. 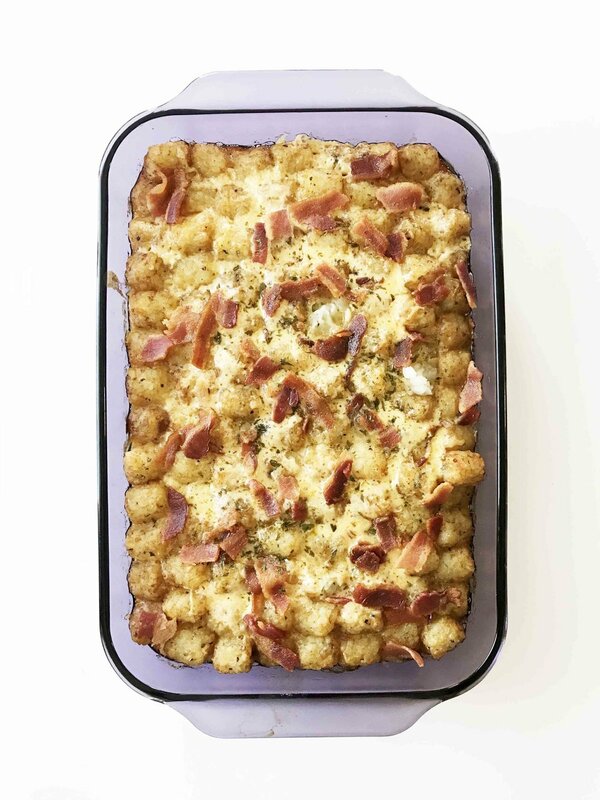 One of the best parts about this breakfast casserole though, is that it can be made ahead and popped in the oven any time. Being as it makes a rather decent sized pan of it, you could probably enjoy this all week long with a quick reheat in the morning to enjoy it again. This is a pretty hearty and filling breakfast too. There's layers of sausage, egg, cheese, potatoes and yes... even some bacon! 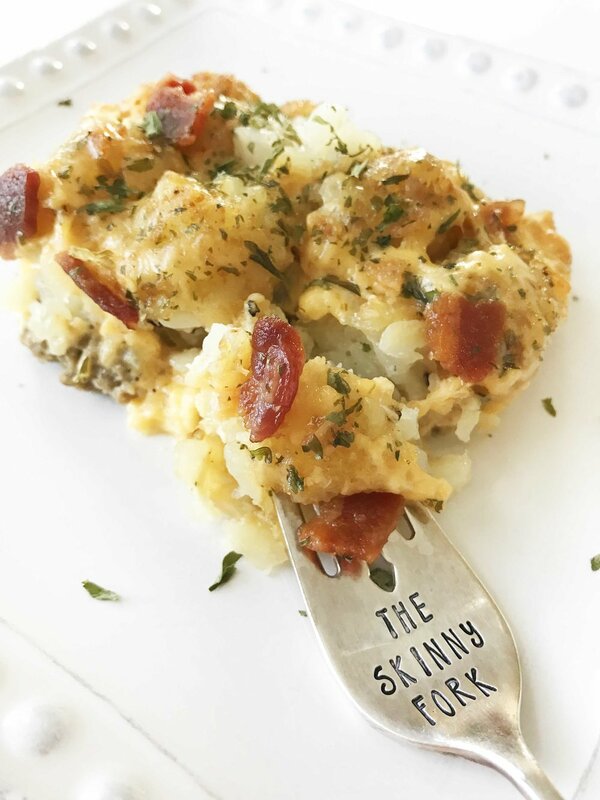 I mean... who doesn't like cheesy potatoes along with some bacon for breakfast? I know that I sure do! To be fair though, we did end up having this for dinner one night too. Like I said, it makes a big pan and we have a small family. So, it's usually leftover city over here. 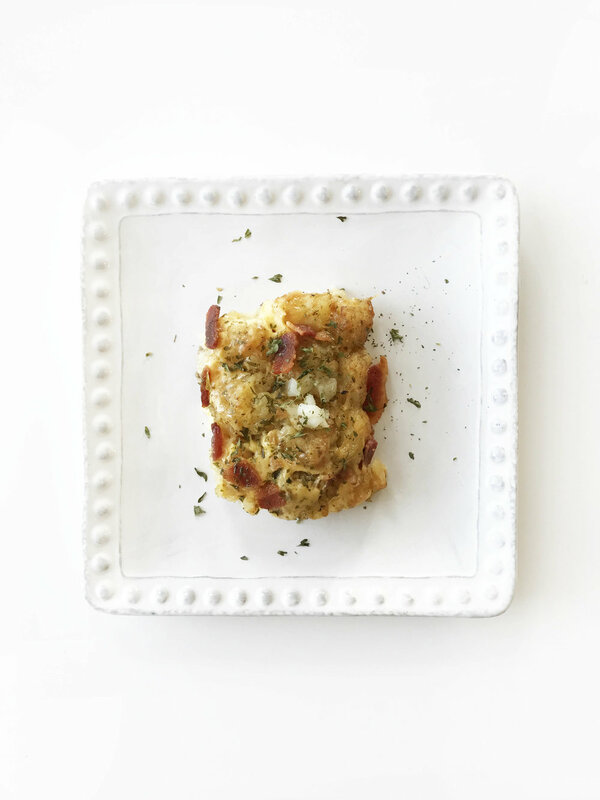 Aside from adding the cheese and bacon towards the end of the cook time, this breakfast bake is simple and couldn't be much more simple to make. 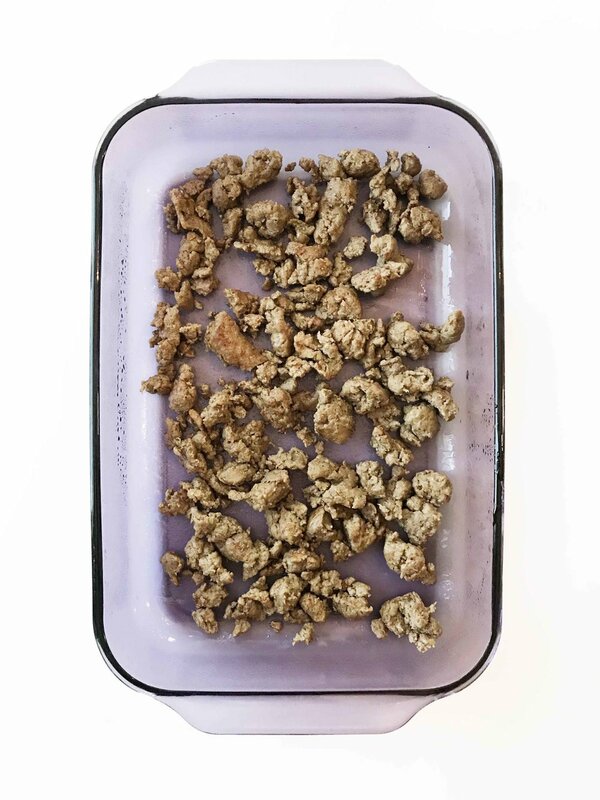 It's as foolproof as a breakfast casserole can be. No matter when you enjoy it, breakfast or dinner, it's sure to be a new family favorite! This is an easy peasy breakfast casserole that takes under 10 minutes to prepare and is loaded up with bacon, eggs, cheese, sausage, and even potatoes! Heat a large skillet over medium-high heat and cook the turkey breakfast sausage until done. Preheat the oven to 350 degrees F. and lightly coat the inside of a 13x9" oven safe casserole or baking pan with non-stick cooking spray. Transfer the cooked sausage to the bottom of the prepared pan. Top the sausage with 2 C. of the shredded cheddar. In a large bowl, whisk together the 2 C. milk, 3 eggs, 1/2 Tsp. pepper, 1/2 Tsp. onion powder and some salt. Pour the egg mixture over the sausage and cheese. Top it all off with the 28 oz. tater tots and place it in the oven to bake for about 45 minutes. 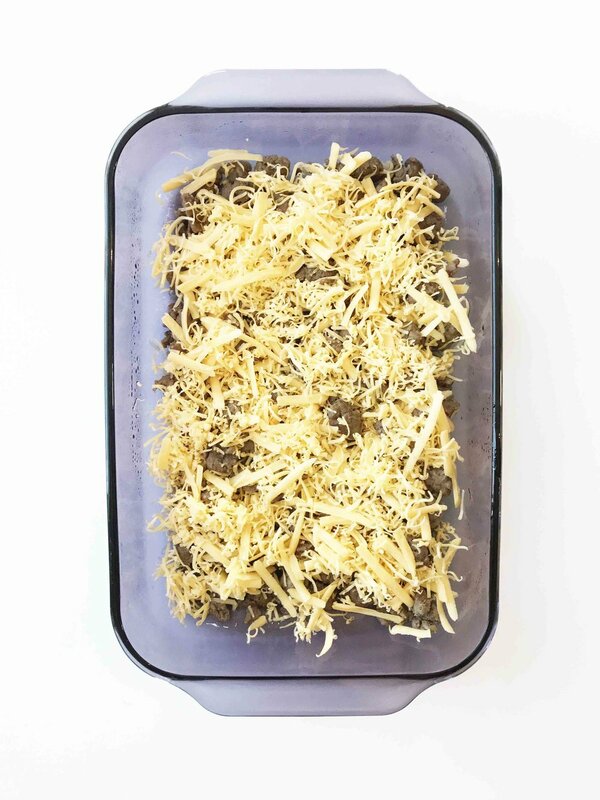 Once the eggs have cooked through, carefully remove the pan from the oven and top with the remaining 1/2 C. cheese and the bacon crumbles. Cover with foil and bake for another 10 minutes or so. Remove from the oven and garnish with parsley if desired before dividing evenly and serving right away to enjoy!